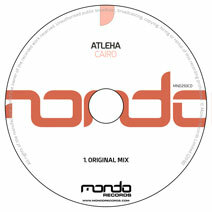 Encapsulating the end of summer, yet delivering some serious heat, newcomer Atleha makes his Mondo Records debut with the superb 'Cairo'. Packed with a gnarly, warm bass from the off and a killer groove which drives the track into the break where the magic really happens. Warm pads, soft chords and a curious atmosphere keep you hooked in anticipation for that slamming drop. 'Cairo' sure packs a punch, all while delivering a double dose of warm summer inspired vibes throughout.